Head Coach Sports was invited to screen the movie #EddieTheEagle and I thought it was a great movie about sports and persistence. 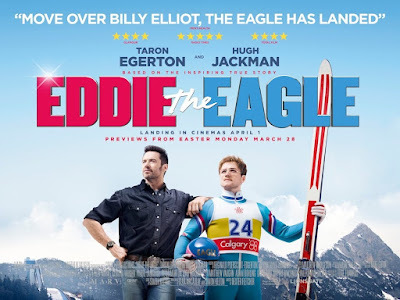 It is a movie based on real events and a real person named Eddie Edwards (played by Taron Egerton). He followed his dreams to compete in the Olympics and did whatever he could to get there. He tried multiple sports and finally found a sport, ski jumping, that he could get there with. Eddie reminded me of a quote that I have on my office wall from Calvin Coolidge that states, "Nothing in this world can take the place of persistence. Talent will not: nothing is more common than unsuccessful men with talent. Genius will not; unrewarded genius is almost a proverb. Education will not: the world is full of educated derelicts. Persistence and determination alone are omnipotent." Even with Eddie's persistence however, he needed a mentor or a coach to help him qualify. The mentor/coach was a former ski jumper himself named Bronson Peary (played by Hugh Jackman). Head Coach Sports was then invited to a premier event in Plano, TX to interview Hugh Jackman and Taron Egerton on the red carpet. I wanted to know if they had any coaches or mentors that helped them or motivated them through their own adventures in life. Below are the videos of those interviews but I have to warn you that I got a little star struck interviewing these two as this isn't a regular occurrence for me. For example, Taron Egerton almost asks my question for me. Also, when my wife talked to Hugh Jackman about his dad being his hero, I was supposed to mention that my father is also my hero and that he was my coach for many years but I dove right into the question instead. We loved meeting both of them and I would highly recommend #EddieTheEagle to sports fans, families, teams, hopeful Olympians, underdogs, and anyone else that could use some motivation. Enjoy the interviews and go see #EddieTheEagle! 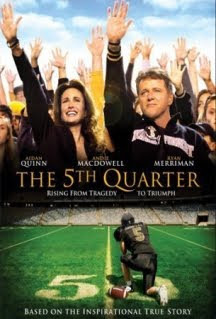 I recently watched another sports movie called "The 5th Quarter" that is based on an inspirational true story. I have to admit that before watching it I hadn't heard of the movie. 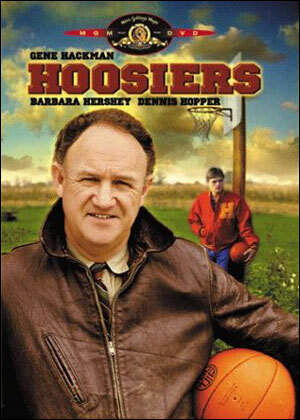 Although this movie won't make my top 10 best sports movies ever, it delivered a great message and evoked a lot of emotion from everyone that watched it. 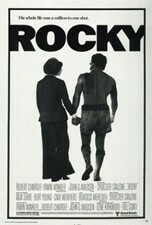 In my mind, any movie that brings out that much emotion from me is worth watching and worth recommending to others. The movie had some things that I really like and some things that really bugged me. 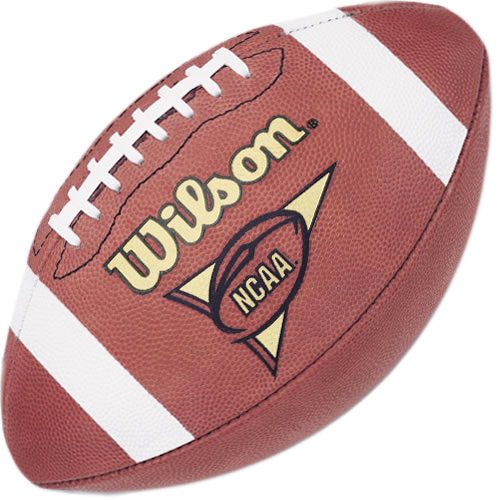 Some of the things that bugged me were in the details and probably bugged me more because I played college football. For example, they would show a locker room conversation where the players were wearing their white (away) jerseys and then show them coming out to the field in their black jerseys. The crowd shots that they showed were not always consistent with the game that they were playing because they would show a day game and night crowd shots or home crowds for away games. The other small thing that bugged me was that the actor (Ryan Merriman) that played Jon Abbate looked way too small in football pads. The biggest things that bothered me were the details about some of the periphery characters that were completely ignored. There was a car accident full of high school kids and it doesn't tell you what happened to any of the kids in the car except Luke Abbate. The movie is about the inspiration of Luke Abbate but some information about the other kids would be helpful. Most of the time when you watch movies based on true events it provides a summary of where everyone is currently at and what they are doing now but this movie didn't provide it for any of the characters. I also thought that some of the additional characters in the movie were not very well developed. 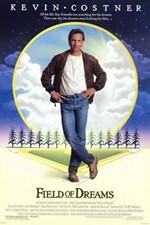 The things that I liked about this movie actually outweigh the things that I didn't like. As I mentioned earlier, I liked the emotion that it brought out in me and the inspirational message that it conveyed. I actually loved the fact that it used actual game footage for some of the football scenes. The reason I like this is because no matter how hard you try, you just can't make fake football look like real football and it emphasizes that this really happened. 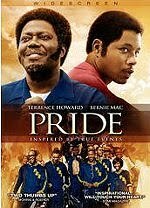 I think this movie would be a great movie to show to teenage kids to show the consequences of bad decisions and to show how pulling together as a team and as a family can overcome real adversity. 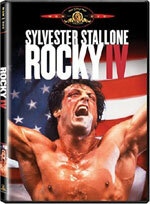 I have a copy of this movie that I would like to give away so if you would like a free copy of this please leave a comment and let me know. If I get more than one comment I will randomly choose a winner. I love this time of year. I feel like a kid on Christmas Eve. The heat is beginning to break, baseball playoff races are taking shape, NFL football is about a week away, and my favorite, College Football starts tomorrow. I'm certain that I will have a tough time sleeping tonight as the anticipation of a new season filled with hope is at its highest. 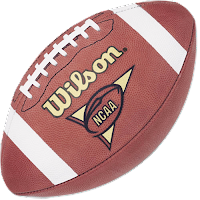 Fan's all over the country have poured over message boards and discussed perceived strengths and weaknesses of their favorite team and compared their team against the upcoming schedule. At this point everyone is wondering how their team will perform and the fans are probably feeling good about the new team and the new year. For some it is a new coach or a new stadium. For others it is a new conference with new competition. Some may have optimism over an easy schedule. Only time will tell if the fan's optimism is justified for their team but as for right now only one thing is certain... Every team is currently undefeated and it is the most wonderful time of the year! 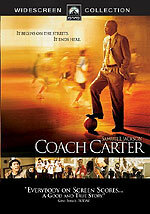 I got the opportunity to screen a new sports movie this week called "Warrior" and I really liked it. Although it isn't a "Christian" movie, it reminded me a lot of a modern day Prodigal Son. It was emotional, dramatic, action packed, intense, and the best thing I liked about it was that it felt real. 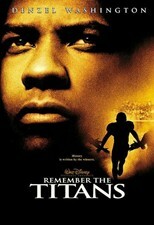 It was a great movie about the power of forgiveness. I am not a big Mixed Martial Arts (MMA) fan but this movie is one that everyone should see so don't leave the women at home. I saw men and women alike wiping eyes when the lights came on and I thought Nick Nolte was absolutely phenomenal. 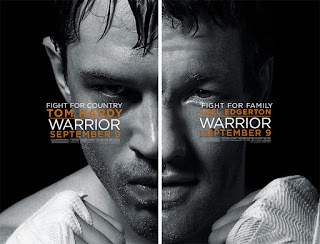 Warrior comes out on Sept. 9th and I recommend it with two thumbs up. 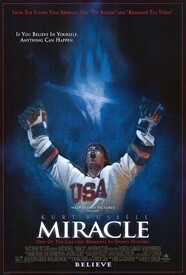 After I watched Warrior it made me think about my favorite sports movies. Below are my top 10 sports movies. It would be interesting to hear other opinions on this. I got to watch X-Men First Class with the media this week and I thought it was an "X-cellent" movie. It was the best movie I've seen this year and just may be the best X-Men movie yet. There were great lines, great action, and there were some great cameos and surprises. It wasn't as dramatic as the Dallas Mavericks comeback this week in game 2 of the NBA finals but it had its fair share of drama. The best way to describe how I felt about the movie is that when it ended I wished that it wasn't over and that I could see the next one. I recommend this movie and give it two thumbs up! At the beginning of this football season, I wrote an article about the glass ceiling of college football. I guess I was even more right than I originally thought. Teams that don't play in the big conferences or the BCS conferences don't get any respect by the voters in the polls. This year there were two non-automatic qualifying teams that deserved a spot in the BCS and the wonderful BCS paired the two teams up against each other that proved absolutely nothing. Then, to add to it, the voters snubbed Boise State in the final AP rankings. I guess they had enough of hearing about Utah being ranked #2 and being undefeated last year and they wouldn't let that happen again. Let's take a look at the final AP rankings and you tell me what you think (The final BCS rankings are released before the bowl games are played). Here are the final AP rankings for 2010. 2) Texas - This makes sense from the perspective that they lost in the National Championship game but not from the perspective that they are the second best team in the country. The only teams that Texas beat during the season that ended in the final BCS standings were #19 Oklahoma State and #22 Nebraska. Certainly Texas was a good team and one of the best but let's continue to examine the rest of the field. 3) Florida - Oh, mighty Florida! The Gators got a lot of hype from the beginning of the season and I admit that it is hard to win with all of that pressure on you. However, if you examine their schedule a little closer, it isn't as impressive as you would expect. Florida played three teams in the BCS final rankings and won two of them. They beat #12 LSU and #3 Cincinnati and lost to #1 Alabama. I think this is more impressive than the Texas team and given the fact that they lost to #1 and beat #3 then maybe they belong at #2. 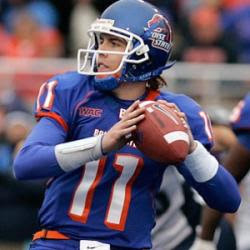 4) Boise State - This is the ONLY team in the top 5 that is undefeated AND beat two other top 10 final BCS ranking teams. Take a look, Oregon ended up at #7 and TCU ended at #4. They beat everyone they faced (unlike Florida) and they beat some great competition. They didn't get a chance to play the #1 team but that isn't their fault, the BCS matched up TCU and Boise State, that wasn't scheduling. Again, I think the voters were tired of hearing about Utah from a year ago and didn't want to hear it again. Sure Florida only lost to #1 but Boise never got the chance to even play #1 and they NEVER LOST. 5) Ohio State - Ohio State was the only team in this final top 5 to beat three other teams in the final BCS standings. They beat #10 Iowa, #13 Penn State, and #25 Wisconsin. They also lost to #24 USC. So arguably, Ohio State had the toughest schedule of all the teams in these top five. The only problem is that they are the only ones with two losses as well. Based on these facts, here is my final top five for 2010. I really believe that Boise State deserved to and should have ended the season ranked #2. I also believe that the college rankings are like the rest of college football - corrupt, media driven, and money grubbing. What are your rankings? Is college football as corrupt as I see it?